Feeling overwhelmed and struggling to constantly find new customers? Do you have something amazing to offer and no one knows about it? Are you spending too much money on your sales & marketing efforts and feel like you're going no-where? get better results when you're paying for online keyword advertising. show you how to stop your website visitors form clicking away in 3 to 7 seconds, and instead gives them a reason to stick around and see what else you have to offer. 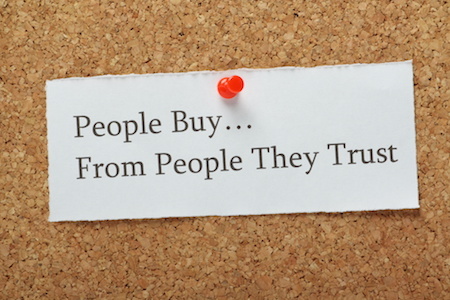 The 7 Second Trust Formula lets you create instant credibility and trust online. At Spartan Spark we're not afraid to share our marketing secrets, because what we do is not for everyone. If you find that your time is best spent doing all your OWN marketing, we're going to share all our tips with you. But if you find that you make MORE money in your business doing what you do best, we can take care of ALL your marketing for you. Here are a couple of sample strategies that we talk about in our 7 Second Trust e-book. We've used them successfully over and over again with our clients so we know they work. Click on the links to view the full case study. Strategic ways to use social media to set yourself up as an expert and build on that trust. Watch Video to find out exactly how. Get a complimentary copy of the 7 Second Trust e-book here.